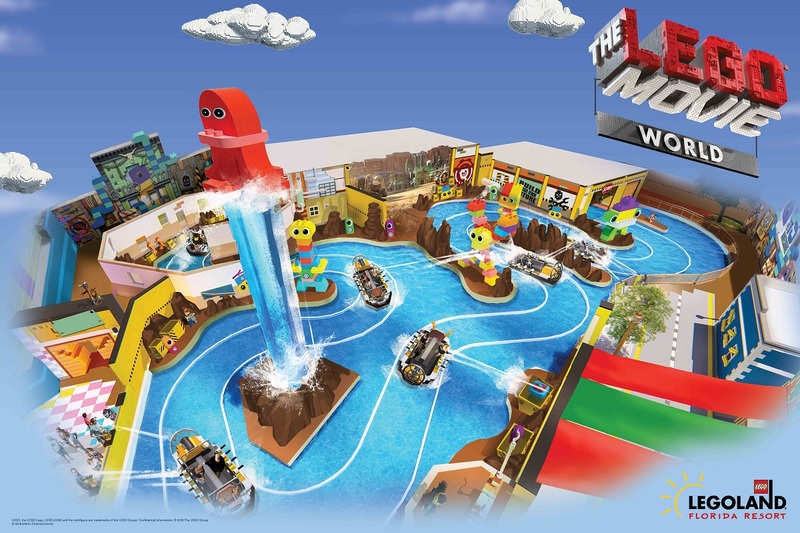 Legoland Florida Resort will be getting a Lego Movie injection next year in the form of the new Lego Movie World expansion. 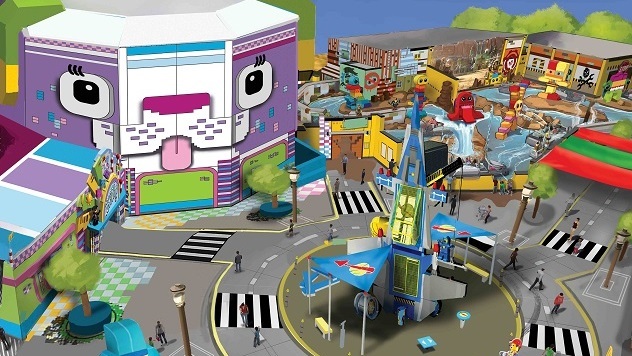 Scheduled to open in Spring 2019, the new park area will feature three new family attractions based on The Lego Movie and its upcoming sequel. Let’s take a quick gander at ‘em, eh? The Lego Movie Masters of Flight lets guests go on an aerial adventure on Emmet’s Triple Decker Flying Couch. According to Legoland’s press release, this suspended ride recreates the feeling of flight with a “full-dome virtual screen” and a 180-degree turn during the ride, which makes it sound like a more intense variation on Disney’s Soarin’ ride. 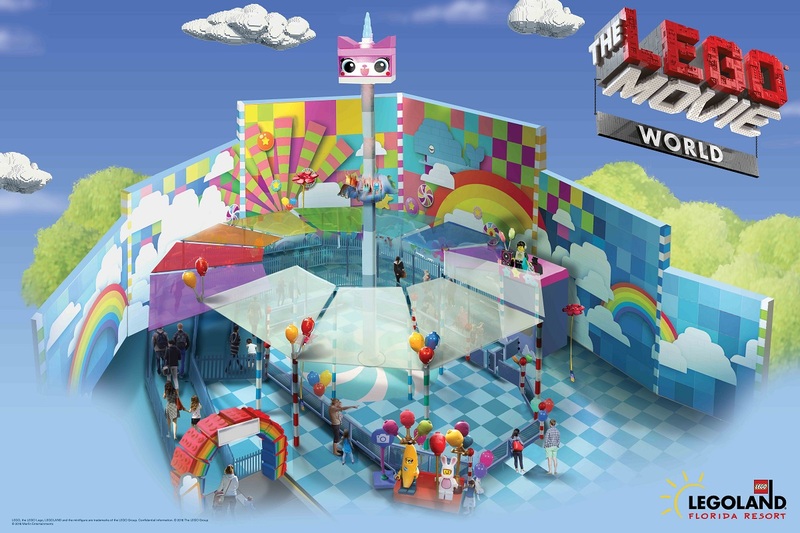 There’ll also be a water shooting ride called Battle of Bricksburg. Riders have to ward off invading Duplo aliens and keep them from “stealing Lego bricks” using water guns. Not to keep comparing everything to Disney rides, but this one definitely sounds like Buzz Lightyear’s Astro Blasters / Space Ranger Spin, but with water instead of lasers. Beyond the rides, you’ll also be able to visit downtown Bricksburg, where you can meet Emmet and his friends, eat at Taco Everyday, and find all kinds of souvenirs at The Awesome Shop. And there’ll be a new themed room based on The Lego Movie at the Legoland Hotel, if you just can’t get enough at the park. 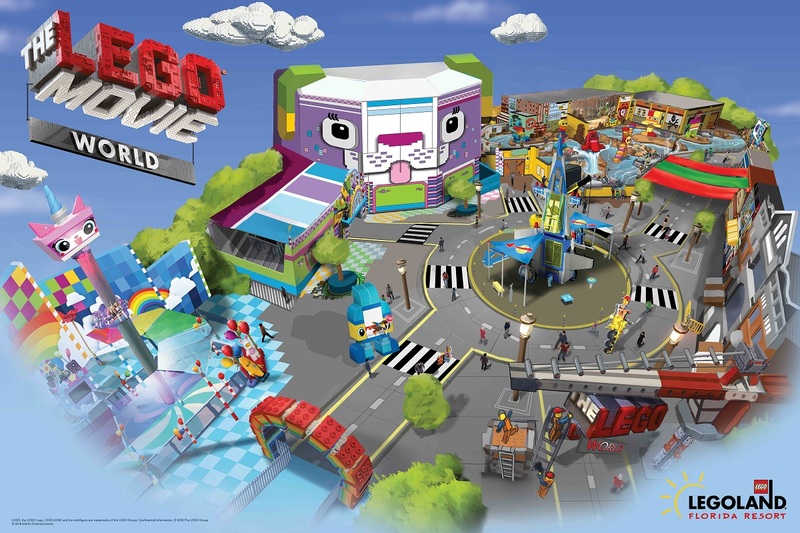 The Lego Movie World, built in conjunction with Warner Bros. Consumer Products, will be opening at Legoland Florida Resort in the spring of 2019. You can find the 150-acre theme park in Winter Haven, Fla., on the grounds of the old Cypress Gardens park, which was opened in part by the grandfather of Gram Parsons. I went to Cypress Gardens once when I was 8, and as sad as it is to see old things disappear, I gotta think Legoland goes over a lot better with the kids than Cypress Gardens did with me back then. The Lego Movie 2: The Second Part opens in theaters on Feb. 8, 2019, which should give you several weeks, at least, to get ready for the theme park that’s based on it. We’ll have more news as The Lego Movie World gets closer, but in the meantime here are three pieces of concept art released by Legoland.